Esterline Connection Technologies - SOURIAU follows European Chemicals Agency regulations and adapts its production processes. The European REACH regulation, which aims to ensure a high level of protection for human health and the environment, imposes strict rules on the use of chemical substances. In order to protect employees in its production sites in Champagné and Marolles en Brie, SOURIAU is making changes to its production processes in response to these new regulatory constraints and at the request of its customers. 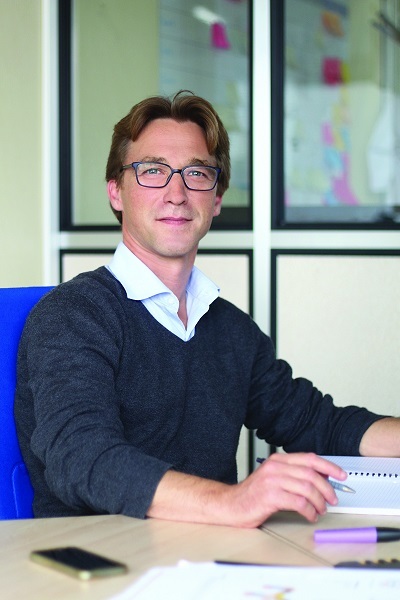 OLIVIER CRESSON, Hygiene,Safety and Environment manager at SOURIAU's Champagné site, talks about the challenges of compliance with the REACH regulation and the steps taken to radically transform an essential part of the production line. Could you summarise what REACH is all about? OC: To protect human health and the environment without harming the competitiveness of industry, Europe adopted the REACH regulation in 2006 which aims to identify all the chemical substances used in Europe, evaluate their hazard class and to authorize or prohibit their use. The European chemical agency (ECHA) was then founded, and put in charge of the application of this new regulation called REACH. What has been the impact of this regulation on SOURIAU? OC: Our company is impacted by this regulation because we use hexavalent chromium for electroplating our connector housings. However, because the regulation applies only in Europe, it doesn't apply to our American or Asian competitors, who expect products of the same quality, with or without hexavalent chromium. So we had to rapidly deploy industrial processes which comply with this new constraint, in a concerted effort with our suppliers in the chemical industry and with the users of our products. The deadline seems a bit short, wouldn't you agree? OC: Actually, it was in 2006 that the European agency first asked these manufacturers to make a list of all the products by November 30, 2010, starting with the largest tonnages of the most dangerous substances and then followed by the intermediate tonnages. By the end of May 2018, the small tonnages were evaluated and it had a global view of all the chemical products used in Europe, both in terms of quantity and their hazard class. Doesn't this regulation apply only to the product as such? OC: No, in a product sold to the general consumer or for an industrial process, several factors must be taken into account; tonnage, hazard class, application domain, etc. And although the substances themselves have to be examined, it's important to also take into account how they are distributed. The greater the quantity and the wider the distribution of a chemical product, the greater the risk that it will be prohibited. To give a concrete example, a lipstick, the ink in a pen or a paint sold in the consumer market do not represent the same level of risk for the population and environment as the electroplating of connectors in an enclosed system. What is the relationship between electroplating and hexavalent chromium? OC: Electroplating is a surface treatment which protects the connector housings, insures electrical continuity and gives them the finished appearance that our customers expect. Hexavalent chromium is used in the so-called passivation process to facilitate the adherence of the protective coating on the composite connectors. The finished product is stable and non-leaching. Nevertheless the use of hexavalent chromium was prohibited in manufacturing processes since September 2017. How far have you got in your research for meeting the ECHA requirements? OC: As soon as the ban on hexavalent chromium was announced, the research and development teams of SOURIAU started to work on replacement solutions. The work is complete for composite connectors because a new process, released into production, has been accepted by our customers. But for other connector manufacturing processes, compromises are necessary, and our R&D teams are still looking for replacement solutions. OC: All our European competitors who manufacture connectors were naturally faced with the same issue, so we formed a consortium and asked the ECHA to authorize us to use hexavalent chromium for a few more years. This delay was really essential in order to have enough time to put the new processes into place, get them released internally and qualified by our customers. The ECHA was well aware of the difficulties and that by allowing this delay we could avoid relocating factories abroad or losing markets not just in Europe but all over the world. By authorizing us to use this substance in our manufacturing processes, the ECHA made it possible to keep our R&D, know-how and production jobs in France and in Europe, with skilled personnel who now are working together every day to find a replacement for hexavalent chromium. Are there some changes in your company visible already? OC: Our factory in Champagné plant has been certified ISO 14001 since 2001 and has a highly modern electroplating workshop equipped with a ventilation system which changes the air out every eight minutes. The air passes through cleaning towers which treat all the effluents. The residual wastes are treated by a specialized company. SOURIAU is a global supplier of connectors for harsh environments; we manufacture 13 million connectors annually and use approximately 8 tons of hexavalent chromium. This consumption is currently being reduced by 50% due to the change in the industrial process. And what will be the consequences over the long term? OC: REACH is having a major impact on the industrial base, necessitating major investments in R&D to maintain conformity with the standards on one hand while on the other minimizing the impact on the electroplating process. Thanks to these efforts, we now have replacement solutions for hexavalent chromium but we need more time to validate them. The decision taken by ECHA will allow us to continue to advance in the market our connectors for harsh environments while still preserving our manufacturing base in France.